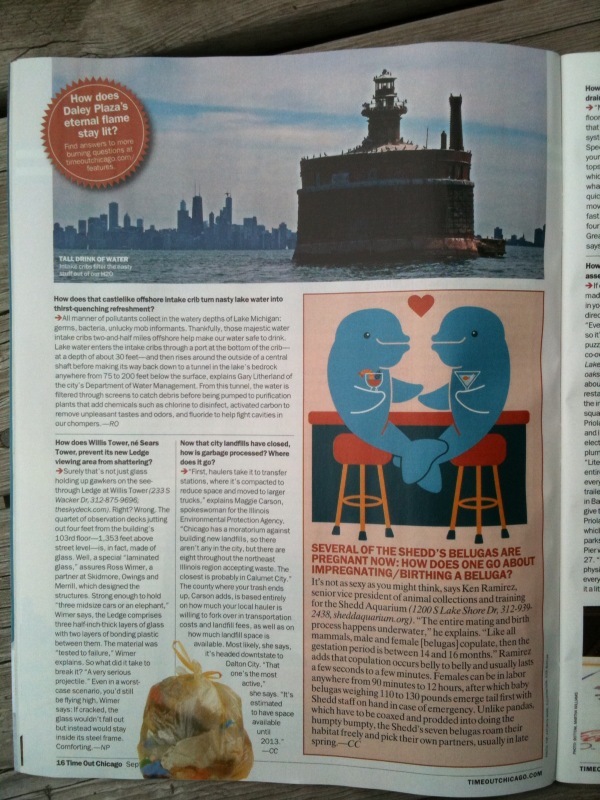 Look Who Has a Photo Published in Time Out Chicago! All those sailing trips on Lake Michigan this summer, wandering back and forth from the Wilson Avenue water intake crib paid off when Time Out Chicago purchased one of my photos for publication. The photo (which appears across the top of page 16) accompanies a story about things in Chicago that make you go “Hmmmmm.” My photo of the crib appears in both the magazine (on stands today) and online. They found it through my Flickr set and unlike most inquiries for use, they actually pay. Sweet. Fantastic! I’m thrilled for you–great photo all around. And you SHOULD be paid for it–you’ve worked hard at learning photography.